Matt Damon returns to his most iconic role. Jason Bourne is a little dumber and a little sillier than its predecessors. It's also nowhere near as engaging, but there's enough to keep fans of the series amused, and it's easily the best major release Hollywood has offered us in this otherwise awful summer. 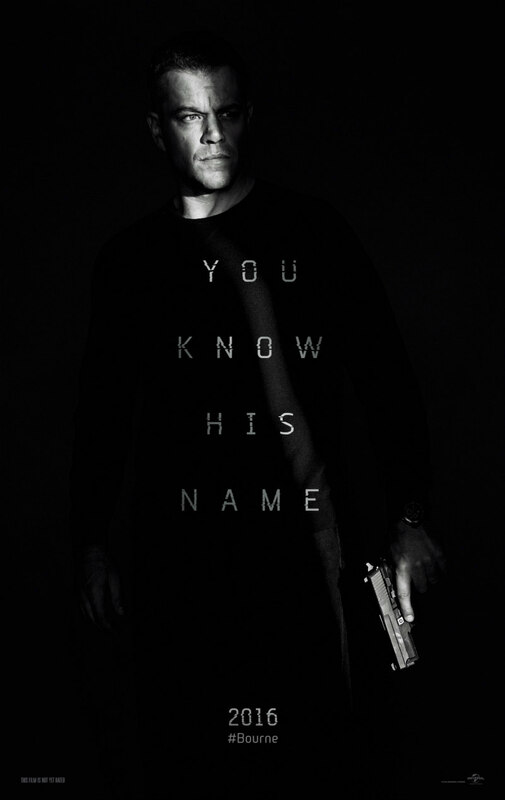 Jason Bourne is in cinemas July 27th 2016. Hollywood's most derivative summer blockbuster season ever™ continues with a third (or fourth? let's not mention Legacy; if you want a good Bourne movie that doesn't feature Bourne, watch Michael Mann's Blackhat) sequel to a remake of a movie based on a novel. This one's a little different however, as it's a direct continuation of its franchise's plotline. It's a decade since Matt Damon last slung a rucksack over his shoulder to essay Jason Bourne; that may not seem a particularly long time, but we've seen Spider-Man rebooted twice in that same timespan. Bourne has grown a little rough around the edges since Ultimatum, though he's maintained an impressive six pack by indulging in illegal fights with huge Serbs. He's accepted a life of living "off the grid" until former CIA agent Nicky Parsons (Julia Stiles) turns up with a USB drive containing encrypted files that can not only take down the infamous Treadstone project, but reveal the identity of the man responsible for the death of Bourne's father, previously believed killed in a terrorist attack in Beirut. 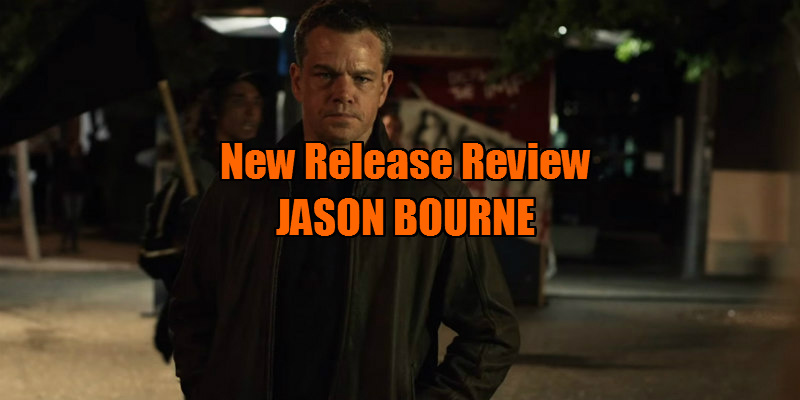 Back in Langley, CIA director Robert Dewey (Tommy Lee Jones) learns of the return of Bourne, and assigns his protege, agent and cyber expert Heather Lee (Alicia Vikander), the task of hunting him down. Dewey wants Bourne dead, knowing he'll be out for revenge, and also sends an assassin (Vincent Cassel) - one with a personal history with Bourne - to take out the rogue agent. When we first see Bourne here, he removes his shirt to reveal a series of bullet scars in his back, just like Clint Eastwood's Pale Rider protagonist. This is the first of several references to westerns, and particularly spaghetti westerns, peppered throughout the film. Bourne's blurry flashbacks to the death of his father recall those of Giulio Petroni's Death Rides a Horse, while the heat shimmer that obscures the identity of the killer is directly lifted from Sergio Leone's Once Upon a Time in the West. The movie even climaxes with a standoff in a desert town (Las Vegas). Of course, the Bourne series is the grandosn of North by North West, and Hitchcock is explicitly referenced early on here, though it's a very different Hitch movie that's riffed on. I'm unsure whether Paul Greengrass has mellowed with his ADD style or whether I've simply become numb to it at this point. Stylistically, Jason Bourne feels as conservative as an episode of 24. That said, it's still probably a good idea to sit at the back of the cinema for this one. Greengrass delivers two major action set-pieces here. One is great - an early motorcycle chase through an anti-austerity protest in Athens; the other is frankly ridiculous - a carnage filled chase through the streets of Vegas that brings back unwelcome flashbacks of Bruce Willis running over Moscow motorists with a tank in A Good Day to Die Hard. The latter is jarring, and has no place in a franchise that's so far managed to deliver spectacle while maintaining a semblance of reality. It's also a betrayal of Bourne's principals, as his initiation and continuation of the chase leads to the deaths of presumably dozens of motorists. It's hard to reconcile this Bourne with the one who paid a visit to the daughter of one of his victims at the conclusion of Supremacy. For the first time in the franchise, we have a Bourne movie that's very silly, and borderline dumb. 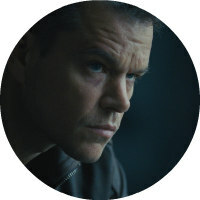 At times, with the cat and mouse pursuit between Bourne and Cassel's hitman, it feels like a Terminator movie. Bourne is practically indestructible here; at one point a barbell is thrown with force at his head, while later he manages to engage in a high speed chase after taking a bullet to the abdomen. As Terminator movies go, it's a pretty good one to be fair, but the problem is it's a Terminator movie without a Sarah Connor. Though Supremacy and Ultimatum managed to stand alone, the absence of Franka Potente's character left us without someone to worry about. Here, Bourne is on his own, and we're never in any doubt as to whether he can take care of himself or not. What Greengrass does best is those scenes where Bourne loses himself in a crowd while being tracked by the suited spooks at Langley, and we get a couple of great examples of that here. This time, the villains get a lot more screen time than we've seen before, and you could argue that Vikander's agent is actually the film's protagonist - she certainly gets a lot more dialogue than the title character. There's also a subplot involving Riz Ahmed as a Marc Zuckerberg style tech guru being blackmailed by the CIA to add a feature to his new software that will allow its users to be tracked, but this really goes nowhere, and besides, we already have this in the real world - it's called Google! There are several examples like this where the film displays a naivete about the power wielded by the US government. Bourne is somehow able to cross through European customs undetected, as though the CIA wouldn't have every EU intelligence agency involved in his manhunt. In this age of facial recognition software, Bourne is still laughably free to wander through European capitals undisguised.